Proton Persona 1.6 have a beautiful design with six color option included Carnelian Brown, Fire Red, Midnight Black, Cotton White, Graphite Grey, and Sterling Silver. The all-new Persona 2016 also provided a stylish look with an eye-catching design from every point. It has three main variants including Standard, Executive, and Premium with different Interior and exterior accessories and price. For Engine and performance, Proton Persona 1.6 2016 powered by 1.6L 4 Cylinder DOHC 16V VVT engine that produces 80 kW power at 5750 rpm and 150 Nm of torque at 4000 rpm. Furthermore, fuel consumption for this car also quite good for sedan car with 5.6 Liters for every 100 Km. This Persona 1.6 2016 Sedan car comes with 6 Airbags for Premium model while Standard and Executive variants installed with 2 SRS Airbags. But all variants get 5-Star Asean NCAP Rating. Other safety features on this car included Electronic Stability Control (ESC), Traction Control (TC), Brake Assist (BA) and Anti-Lock Braking System (ABS). There are four main variants for this car with 5-Speed manual and CVT Transmission. 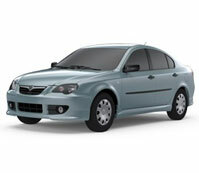 For Proton Persona 1.6 Standard priced from RM42,742 in Malaysia. While for Executive and Premium model, you can get it from RM50,999 and RM54,669.